If youve dreamed of having a V8-powered JK and are something of a do-it-yourself type, AEV makes it simple. Designed for shade-tree mechanics and professionals alike, AEVs V8 HEMI Builder Kit includes everything you need to complete the swap with factory-like results. When considering a V8 conversion, its important to look at more than just the power potential. AEVs HEMI V8 Builder Kit also provides ease of installation, with great features like no-measure motor mounts, a perfectly fitted exhaust, a custom radiator bottle that means no clumsy relocation, and a wiring harness that is literally plug-and-play. And speaking of wiring harnesses, its important to look at reliability and serviceability. AEVs wiring harness uses all OE connectors, all factory color-coded wires and has every single circuit computer tested before you receive it. So if youve dreamed of having a V8-powered JK, look no further than AEVs HEMI V8 Builder Kit. It makes the conversion simple and it delivers factory results. Check out AEVs Kit Contents list to get an idea of all thats included. 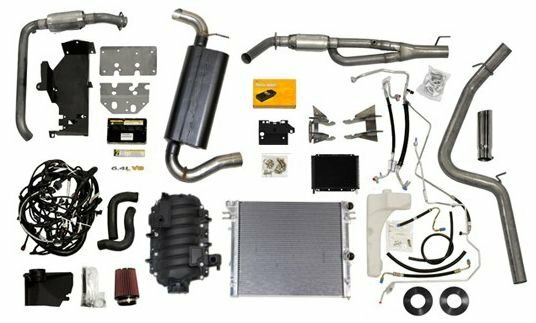 6.4L Hemi Kits also include an additional $450 core charge for the intake, returned when a brand new 6.4L intake is returned. Engine and Transmission Not Included, See Details Below. Plug and play wire harness simplifies the entire process. Includes complete Bill of Materials indicating all Chrysler parts needed to complete the conversion. Wire harness built by OE supplier to Chrysler, 100% computer tested. 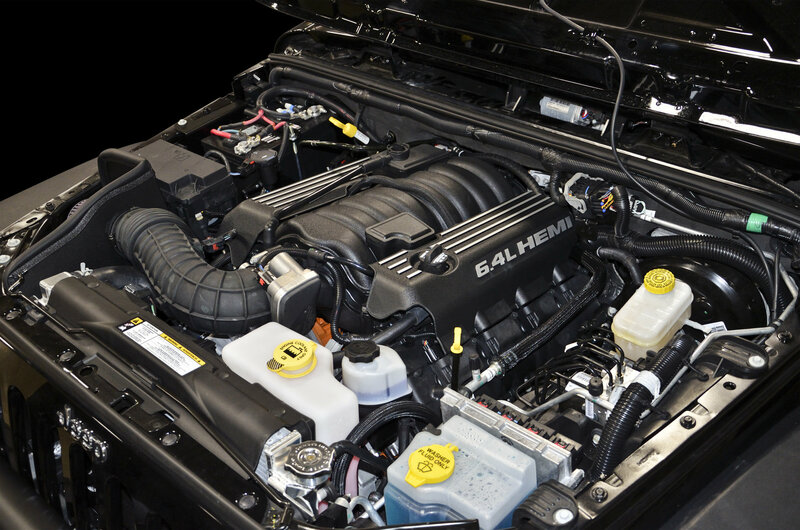 Engine functions as stock, can be serviced and diagnosed by any Chrysler/Jeep dealer. No measure motor mounts index off holes in frame. Leaves dash cluster, warning systems, accessories and overdrive intact and fully functional. ProCal sets the pedal, no need to go to dealership. Customers who wish to install an AEV Snorkel Kit on their JK Wrangler with a 5.7L or 6.4L AEV HEMI V8 Engine Conversion should also purchase an AEV HEMI Air Box Kit. The HEMI Air Box Kit is a direct replacement for the open element air filter system that is supplied with the HEMI Builder Kit, allowing for a clean and simple installation of the AEV Snorkel Kit. 3. Kits are compatible with LHD vehicles only. 4. 6.4L VVT (engine produced in 2012).